Motorola Moto G Specifications | VEBLOGY Innovative Technology Pvt. Ltd. While announcing the Motorola Moto G at an event in Brazil, the Google-owned handset maker confirmed its intentions to get back into the Indian smartphone market next year, in early January. A tweet by Guy Kawasaki later confirmed that the Motorola Moto G dual-SIM variant will be making it to the Indian market, as well as Brazil. The tweet said, “#MotoG Dual SIM will be available in India and Brasil.” Kawasaki confirmed the news via a question and answer session with Motorola. 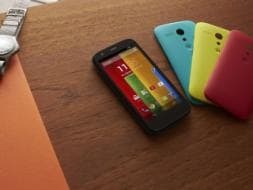 While Motorola has confirmed the Moto G will be arriving in India, it has not revealed precise plans for the rollout. We expect it to be sold in India via Motorola’s official online channels, much like the Nexus devices on the Google Play store. There has been no word on Moto G India pricing but considering US pricing of $179 for 8GB model and $199 for 16GB model, it can be expected to be priced around Rs. 12,000 to Rs. 20,000 in India, including various taxes. 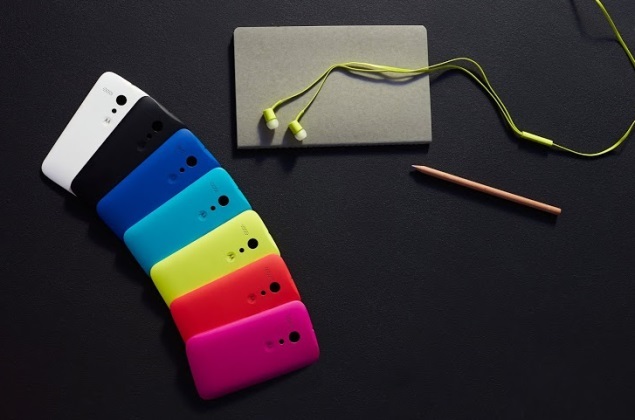 The Motorola Moto G runs Android 4.3 out-of-the-box and the Google-owned handset maker also has confirmed that the smartphone will be getting the Android 4.4 KitKat by January 2014. The Moto G features a 4.5-inch HD ‘edge-to-edge’ display with a resolution of 720×1280 pixels (translating to a pixel density of 329ppi) and boasts a Corning Gorilla Glass 3 screen. Powered by a quad-core 1.2GHz Qualcomm Snapdragon 400 (Cortex-A7) processor coupled with an Adreno 305 GPU, the Moto G features 1GB of RAM. On the optics front, the Moto G sports a 5-megapixel rear camera along with an LED flash and also includes a 1.3-megapixel front-facing camera. The rear camera supports HD (720p) video recording. The Motorola Moto G also features water-resistant nano-coating on the inside and outside. The Moto G packs a 2070mAh battery, which Motorola claims can deliver up to 30 percent more talktime than the Apple iPhone 5s.